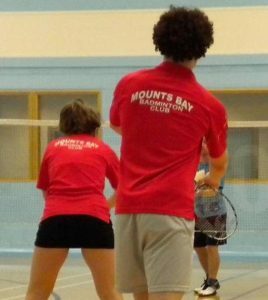 Mountsbay Badminton club is situated in Penwith College – Penzance and is the largest Badminton Club in West Cornwall, welcoming new members and visitors. The club is affiliated to Badminton England and forms a large part of Counwall County Badminton association. The club comprises of a junior section of around 30 youngsters ranging from 7 – 17 years old, and a Senior section of over 30 members. We have a range of players up to County level using a peg system which means that every player will have the opportunity to practice together. Feather shuttlecocks and membership to Badminton England (providing insurances and other benefits ) are included in our reasonable annual fee. We enter 8 teams into the competitive West Cornwall Badminton Leagues meaning that most members will have the opportunity to play matches for the club (if they wish) against other similar standard sides in their division. The Junior club started in 2007 in Mounts Bay school but moved to Penwith College in April 2008 when the Senior club began.